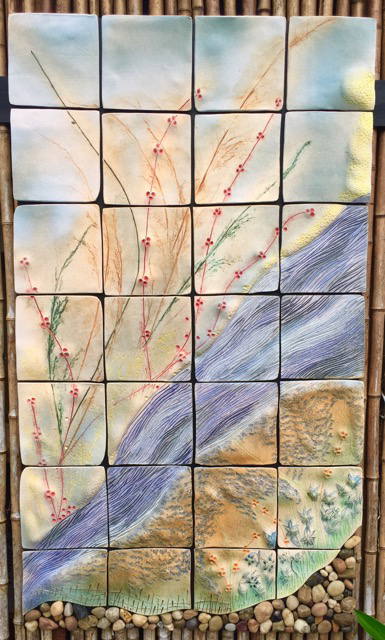 Handmade sculptural wall art tile custom designed. This 28"w x 50" ceramic wall mural is framed on a wooden board and designed to hang indoors or out. Custom work is created by Brenda McMahon for clients nationwide. SOLD.